The deLucide theme is designed for those who want to get an online portfolio set up convenient. 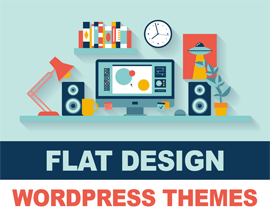 The theme features a very modern design and has advanced features. Using the features doesn’t require any programming ability, and most users will find that getting the site up and running is very easy. The layout of deLucide uses some of the conventions of magazine sites to create a twist on the typical portfolio site. There is room for plenty of images and text. Changes such as switching to a custom background are done through an admin panel. You don’t have to work with the code on the site to make the most common changes. You do have access to all the code that makes deLucide what it is, however, and it’s designed for those who like to make changes at that level. It’s fully commented and easy to navigate. DeLucide is localized. The theme is set up for use in the German, English and Spanish languages. If you want to change the region of the site, you simply switch the option. This allows you to get your portfolio out in front of many more people, of course. The deLucide theme is also set up for widgets. They can be added or removed from the sidebars as needed. The theme also allows you to have different sidebar setups for different pages. This feature makes it easy to change the pages around to suit the different needs of users navigating different sections of the site. With its many features, deLucide allows you to use the WordPress 3.0 as a content management system for your site. If you have a lot of content to share, this has significant advantages. The functionality of the theme makes it very easy to make site-wide changes or changes to particular pages, as well, lessening the amount of time you need to spend administering your site. 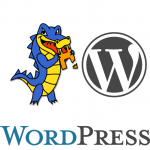 The deLucide WordPress theme comes under a GPL license. This is a type of open source license that allows you to use this theme on as many sites as you’d like, commercial or otherwise. This very non-restrictive form of licensing makes this theme an interesting choice. There is full support offered with the theme, as well as access to any updates released for it. The support is available in German, English and Spanish. Notifications are provided when updates are released.